The Brook Hill Lower School houses grades Pre-K through 5th. 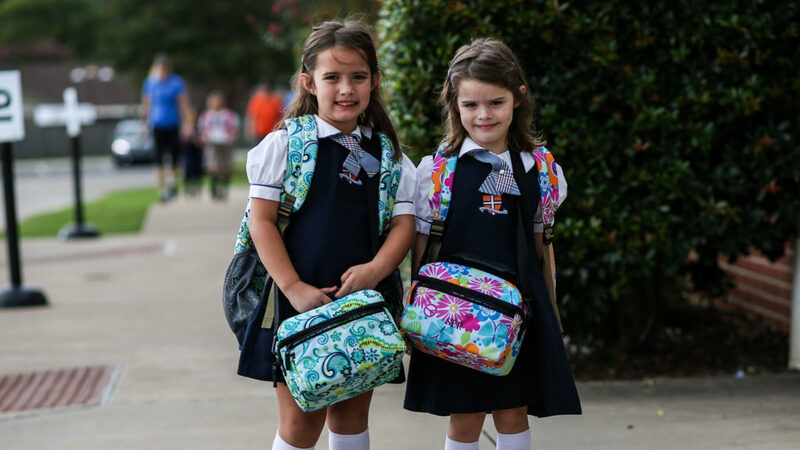 There are many options for elementary school in Tyler, Texas and the surrounding area, but our small class sizes, focused on individual needs to prepare students for college, sets our private school apart. More importantly, Brook Hill is a Christian school, and our nurturing environment extends the principles and ideas you teach in your home into our classrooms. The faculty and staff at our elementary school work diligently to prepare each child for the next level of their education, leading to success in college and beyond. 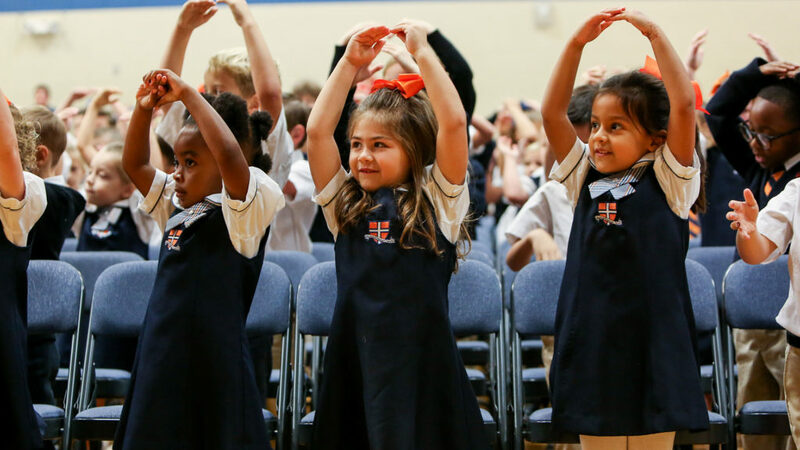 As a Christian school, we strive to create a culture of genuine love and care. We hope that this trains up our students in a nurturing environment, and that our private school develops students that are prepared, challenged, affirmed, and encouraged in body, mind, and spirit. We see successful and happy students moving onward to excellence and success as we partner with families in the growth and development of their children. We hope that we can partner with your family in this endeavor as well. Lower School is one of the most critical times in a child’s life. Our experienced faculty and staff are dedicated to helping students grow educationally, personally, and spiritually as we lay the foundation for them to succeed not only in college, but in life! Jonathan Kegler earned his Bachelor of Science in Kinesiology from Stephen F. Austin State University in Nacogdoches. Mr. Kegler began his teaching career in 2007 teaching Physical Education and Coaching. 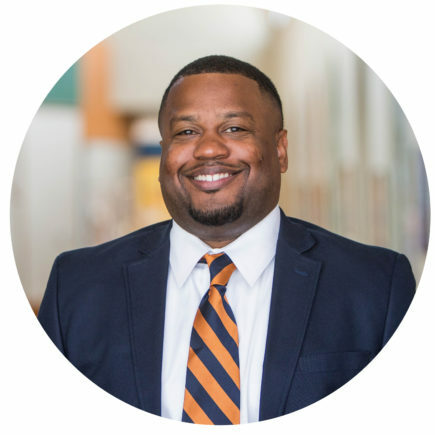 He then went back to Stephen F. Austin State University where he earned his Masters of Science in Kinesiology with an Educational Leadership specialization. 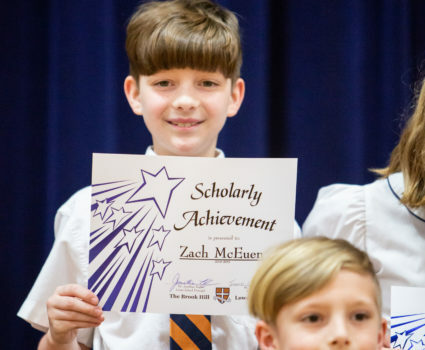 To learn more about how we operate our Lower School, click the button below. The Brook Hill Lower School believes reading/language arts is the foundation for all other learning. Our goal is to develop independent life-long learners who have a firm grasp of the written world that surrounds them. We encourage all students to view themselves as readers and writers, and to use language in order to think, learn, and communicate effectively. Through collaborative instruction, we offer reading intervention to help students reach individual goals in order to maximize their potential. Social Studies is one of the most exciting subjects because of its close connection to the heritage and everyday lives that define us as a people, a community, a region, and a country. Students enjoy studying about people and their history, culture, economics, government, political ideas, and geography. This often leads to strong classroom discussions, combining personal experience with concepts being taught. Our students learn at a higher thinking level because they are interacting with the concepts at age-appropriate levels. 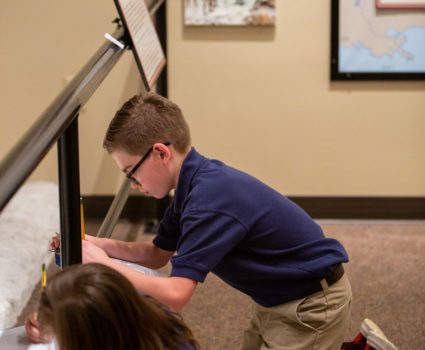 Social Studies curriculum used at the Lower School is full of interactive activities that allow students to better grasp historical concepts, as well as remember important details about history and geography. It is a research based program that includes high level concepts and historical information. While Texas history and facts are discussed at every grade level at the Lower School, there is a focused emphasis in 4th grade on Texas history. In PK-5th grade, understanding and learning foundations, as well as traditionally valued information, are keystones to the Lower School social studies/history program. God created an orderly and logical world with math concepts playing a crucial role in our daily lives. 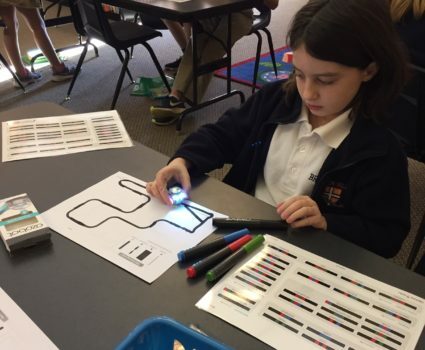 Brook Hill Lower School students develop a conceptual understanding of numbers and reasoning through a balanced math program that uses hand-on, age-appropriate foundational skill learning. They expand their knowledge of how and when to use correct operations accurately, including basic computations in arithmetic. Students become proficient in solving mathematically-based problems. They also learn to logically connect math concepts to real world situations. Students develop positive attitudes about mathematics not just because teachers use enjoyable hands-on activities, but because students come to realize that mathematics makes sense, is useful, and is worthwhile. 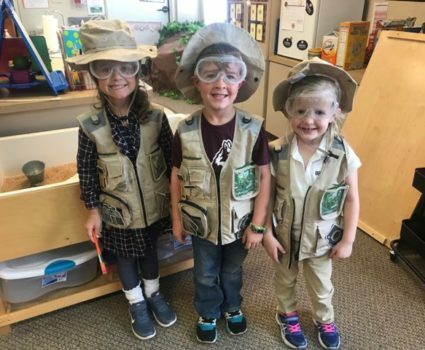 The Lower School science program provides students with engaging opportunities to use higher order thinking skills in order to explore the world through the lens of God’s Word, which is the ultimate source of truth. We want our students to see evidences of God’s power, wisdom, and love all around them. Many skills learned in science have direct applicability to many other academic areas. Our goal is to foster the future generation of scientists and engineers by providing them with the knowledge and skills necessary for scientific inquiry so they will be equipped to handle challenging ideas in future schooling and the rest of their lives. We believe that the Holy Bible is the divinely inspired Word of God. It contains absolute truth, and is the perfect standard by which all knowledge and conduct should be measured. 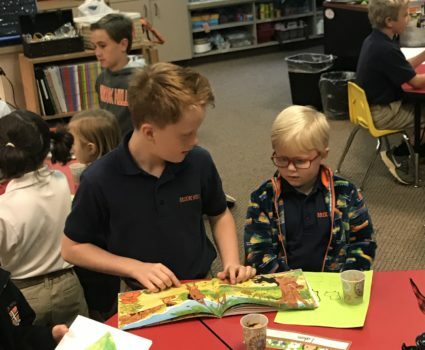 Students at the Lower School study God’s Word in several ways. They learn to seek knowledge, understanding, and wisdom from God’s Word. They learn to discern right from wrong as they apply God’s truths. They also are encouraged to allow the Holy Spirit to work in their lives. In PK-5th grade, Bible lessons and specific Biblical truths are taught weekly. Connections are made between characters in the Bible and the students’ daily lives. Teachers model prayer daily, and students are invited to participate. Students memorize scripture weekly, and they also learn to apply the scripture to their lives. Students are encouraged to begin a relationship with God, and they learn about accepting God’s eternal gift of life. A highlight each week is meeting together in chapel to praise and worship God. The Lower School Library Media Center strives to provide a 21st century learning experience for our students. It is essential that our students be enthusiastic readers. They also must understand how to use technology effectively, ethically, efficiently, and safely as a tool for research/information fluency, creativity, collaboration, communication, and problem solving. The library blends literacy with technology in order to offer a balanced approach to all library media lessons. 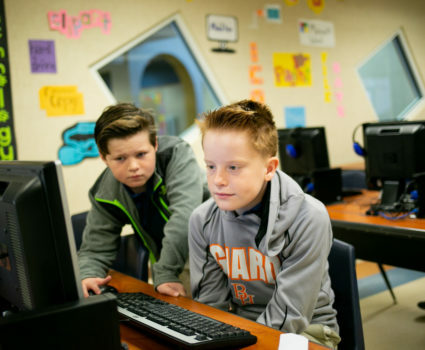 Technology skills are taught that will empower students to think critically as they locate library materials using the online catalog, as well as conduct research using print and digital resources. Office products, along with Web 2.0 tools, are utilized to create report presentations and to complete classroom assignments. General technology topics taught include Internet safety, navigating and evaluating websites, digital citizenship, keyboarding, use of Microsoft Office products, graphics programs, and an introduction to computer programming. The Library Media Center resources include over 6,800 books, 12 magazine subscriptions, computer lab with 20 student computers, iPad cart with 20 iPads, and online subscriptions that include BrainPop, BrainPop Jr., World Book Online, and spelling City. Our library also supports and promotes reading incentive programs throughout the year. 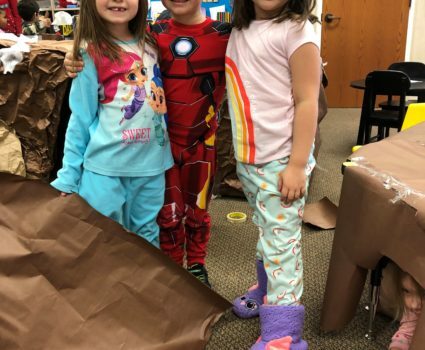 These include two Scholastic Book Fairs, “Storybook Character Pumpkins on Parade,” “Great Book Week,” Texas Bluebonnet books, an afterschool LEGO program, desktop publishing competition, “Hour of Code,” and a“Between the Pages” book club. From an early age children begin exploring the world of art. 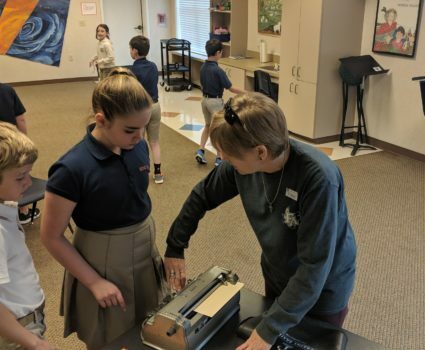 In art class at the Lower School, students build on that early interest by learning about the elements and principles of art, looking at art from different cultures around the world, and studying art history. They learn to see the world as an artist sees the world, and to experiment with a variety of mediums. Art projects are selected so that there is a balance between guided instruction and free exploration, and then creativity can be achieved. To balance out their art experiences, students study the techniques, styles, and application basics of the classic and modern artists, learning to mimic their styles, as well as learning to appreciate a variety of genres. During The Lower School’s Fine Arts Week, students of all grade levels participate in a school-wide art show and competition. At the end of the school year, students put together a portfolio of quality, finished art pieces to take home. In addition, students with a passion for visual arts have the opportunity to attend an after school art class called Art Academy. Music fills much of our everyday lives. It is all around us. Lower School students learn and appreciate the richness and beauty of music several different ways. Classroom instruction includes a rigorous curriculum of music theory, as well as the study and appreciation of great composers and their works. Students also learn the structure and skills that are necessary to perform at a level of excellence. Students have opportunities to perform using voice, rhythm instruments, and recorders. They also perform during chapel each week. They learn that music is a rich part of our worship experience. Another part of the Lower School music experience includes being involved in musical dramas each year. In addition, students in the 3rd – 5th grades may audition for the award winning select choir, The Cadet Singers. This select choir performs in the community and around the state, and also participates in several competitions. An optional strings program is available for students in 3rd through 5th grade. Our world is interconnected in so many ways and being able to communicate in more than one language creates more opportunities for our graduates. Brook Hill’s Lower School students are exposed to the Spanish language, customs, and culture through our partnership with Rosetta Stone. Trusted by well-known organizations such as NASA and the US State Department, Rosetta Stone creates a fully immersive language learning program for our students that is sequenced to introduce new skills in a way that stimulates the brain’s natural language learning ability. Students also improve their accents and build confidence through Rosetta Stone’s TruAccent speech-recognition software. Through their online subscription, students have the additional opportunity to dive into lessons anytime, anywhere, online or off, and never miss an opportunity to learn. The Lower School physical education program develops self-confidence and positive self-esteem through successful physical activity. Prekindergarten through second grade students learn fundamental movement skills, develop gross/fine motor skills, and learn space awareness. In each activity, students engage in developing basic levels of strength, endurance, and flexibility. They also learn to accept and appreciate personal differences. Third through fifth grade students work on combining the manipulative skills and basic concepts taught in more advanced and dynamic activities. These activities and games focus on success and learning for all students, rather than just winning. Attitudes of cooperation, sportsmanship, and competition are important. Students continue to learn these skills, while also learning the etiquette of participation, as well as acceptable ways to resolve conflicts during games and sports. 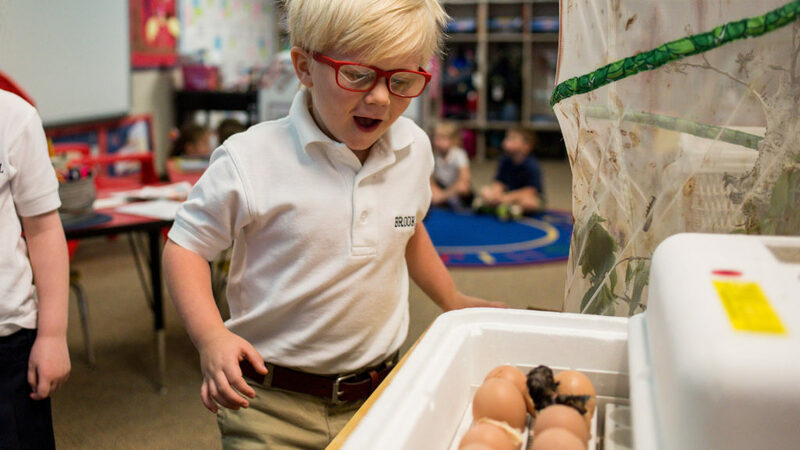 Lower School students experience learning inside the classroom, as well as outside the classroom. Some unique experiences include the following. Service projects are completed by every grade level, PK-5th, at the Lower School. These might include ringing the Salvation Army bell, singing at a nursing home, making cards for soldiers, providing backpacks for foster children, rolling and packaging bandages for a hospital in Africa, or making Valentines for sick and elderly patients. Our students learn to share God’s love by helping others. Prekindergarten invites community helpers (firemen with fire truck and firehouse, police, ambulance, helicopter) to the school to explain what they do and how they help the community. Students also visit the Pumpkin Patch and the zoo. In addition, they have a rodeo roundup each spring, and learn how it was to live many years ago. Kindergarten students also participate in the community helpers visit. In addition, they visit a Christmas tree farm in December, and they have a Chuck Wagon Day in the spring. First grade visits the planetarium in the fall. In the spring, they present An Amazing Animal Showcase, where they share their researched knowledge of various animals. First graders also host a lovely poetry tea for their mothers/grandmothers in the spring. Second grade presents a wax museum each year. Students research a famous American, and then, dressed in full costume, present their research. A Grand Ball is also presented each year to culminate the study of the fairy tall genre in literature. Third grade presents an Invention Convention each year. 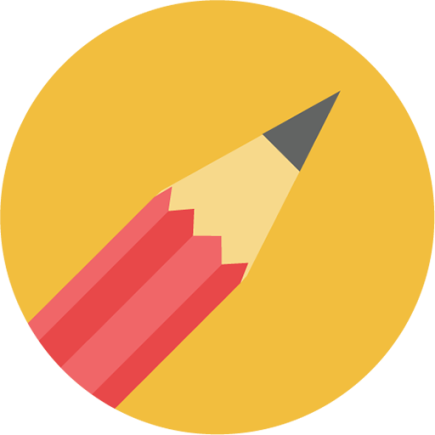 Students research and study famous inventors, and then each student presents an invention personally designed as an attempt to create a solution to an everyday real life problem. Fourth grade students travel by charter bus to visit the Perot Museum of Science in Dallas. 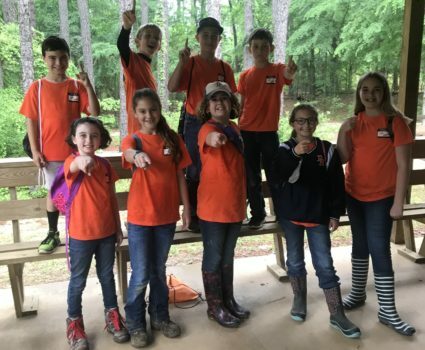 They also spend two school days at Pine Cove Christian Camp, where they participate in science activities. Fifth grade students travel to Houston for an overnight trip. They enjoy classes at the Johnson Space Center. They might build rockets that they get to launch or seek to understand density by combining liquids of differing densities in test tubes or experience a little of what it might be like for an astronaut living in space. In May, they travel to Medieval Times Tournament for lunch and activities. 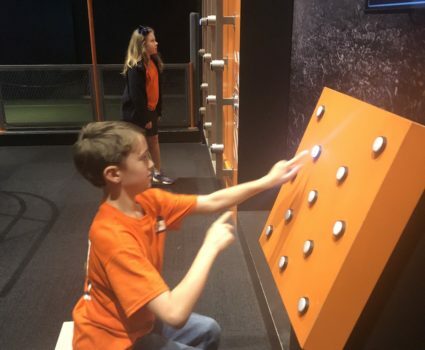 Our fourth grade students traveled to Dallas to explore the Perot Museum last week. 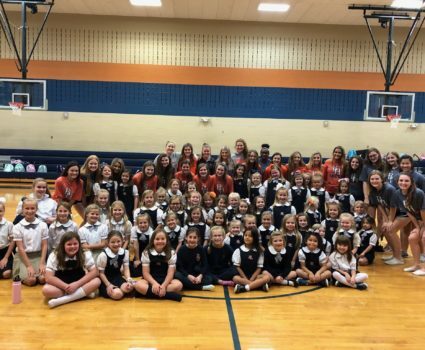 Our Guard Cheerleaders have been working with the future Brook Hill cheerleaders all season! They had their last practice before senior night. Mrs. Ponce’s class read to their book buddies in Mrs. Haugh’s class!